HABIT: Climbing vine that needs support to start. Coral-red flowers all summer. CULTURE: Grows well in any soil. Is drought tolerant but does better with irrigation, unless overwatered. 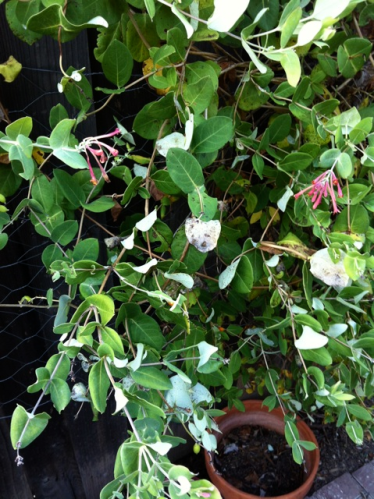 USES: Climbing vine for fences, walls, arbors, and decorative screens. PROBLEMS: Few if any once established. NOTES: Good plant for attracting hummingbirds. L. sempervirens Sulphurea is a beautiful yellow-flowering variety. Native eastern USA to Texas. A: The only things that could causing this are not enough sun and/or too much water. Fix those if they are issues and spray the plants with Garrett Juice Plus and Bio Wash.